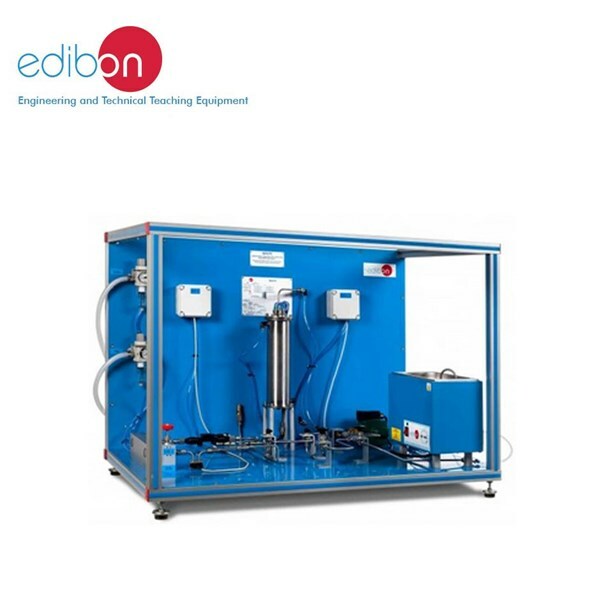 dehydration, solvent or hydrocarbon vapor recovery, water purification, etc. from a mixture in a gas or liquid stream as it flows through the packed bed. of carbon dioxide and helium is separated. from this analysis and used to model the experimental breakthrough and elution curves. completely isothermal behavior is impossible to achieve unless the feed concentration is extremely diluted. The Computer Controlled Fixed Bed Adsorption Unit, “QALFC”, is designed to demonstrate the gas adsorption phenomenon using a fixed adsorption column. 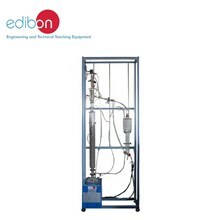 The overall objective of this unit is to analyze the behavior of the adsorption breakthrough and desorption elution curves associated with the separation of CO2 from Helium using activated carbon. 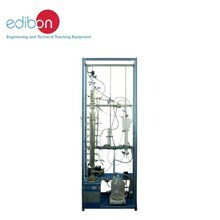 The equilibrium adsorption capacity of this activated carbon will be determined from this analysis and used to model the experimental breakthrough and elution curves. The gas mixture (composed by CO2 and Helium) is fed from compressed gas cylinders to the column with two pressure regulators. Two flow sensors and two regulation valves are included to measure and regulate the CO2 and Helium inlet flows. 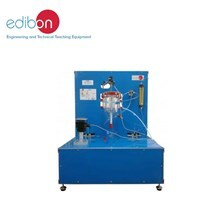 The lines include two flow control valves to limit the CO2 and Helium flow. 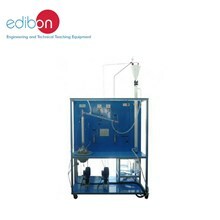 The fixed bed adsorption column is jacketed for the purpose of thermal control and the adsorbent, activated carbon, is packed. Six temperature sensors with different lengths are located inside the column to measure the adsorption and desorption temperatures. A column bypass is included for system calibration purposes. This column has two 3-way directional valves, which divert the gas stream between the fixed bed adsorption column and the bypass. A valve at the column's outlet is used to control the pressure in the circuit. This pressure is measured by a pressure sensor. The unit is protected against overpressure by a security valve. The column is thermally controlled by hot water, which is heated by a system consisting of a thermostatic bath with a heating element and a water pump. An additional temperature sensor is located in the thermostatic bath. The gas mixture, after passing through the column or the bypass, is divided. A part of the gas mixture passes through an infrared CO2 sensor to measure the CO2 concentration at the column or bypass outlet. A third flow sensor measures the flow entering the CO2 sensor and a regulation valve regulates the gas mixture flow in the flow sensor. 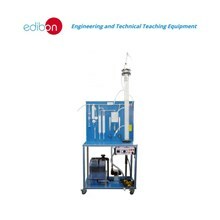 This line includes a flow control valve to limit the gas mixture flow. The rest of the gas mixture is discharge to the atmosphere. 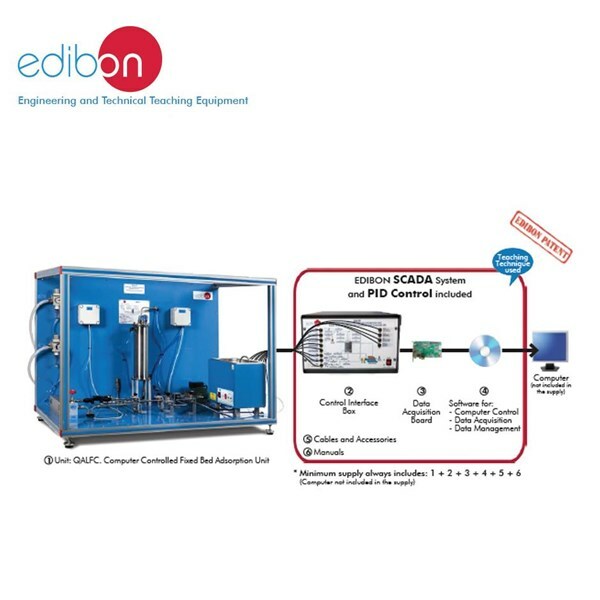 This Computer Controlled Unit is supplied with the EDIBON Computer Control System (SCADA), and includes: The unit itself + a Control Interface Box + a Data Acquisition Board + Computer Control, Data Acquisition and Data Management Software Packages, for controlling the process and all parameters involved in the process.